Dome ring by Alexander Laut. Wide, tapered band with fluted shoulders. 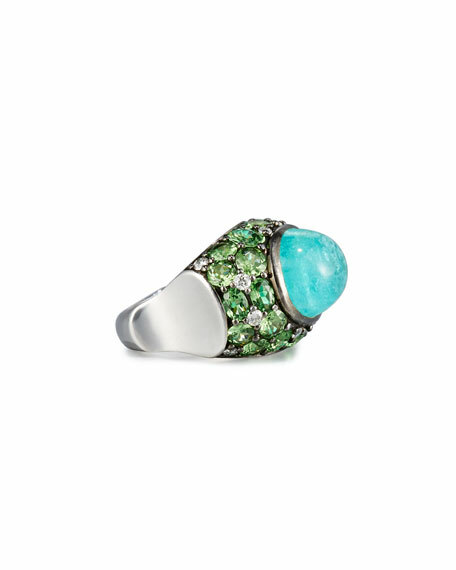 Oval cabochon-cut Paraiba tourmaline center. Prong-set, round tsavorites and white diamonds. 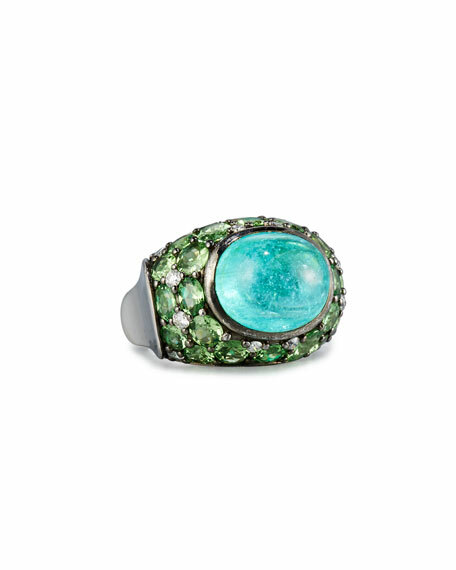 12.59 total Paraiba tourmaline carat weight. 6.42 total tsavorite carat weight.